Grief Ministry brings Christ’s message of healing and hope to those experiencing loss. 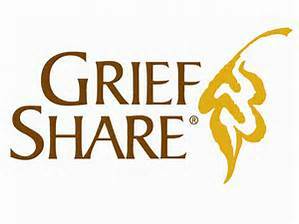 To find the next GriefShare meeting, click here for a look at the Ministries of Care Event Calendar. The Road Home is a comprehensive guide for planning a funeral or memorial service for your loved one or yourself. When Death Has Touched Your Life is a collection of thoughts, poems, and prayers for a time of loss. Water Bugs and Dragonflies helps explain death to young children.